The optic nerve transmits visual information from the retina to the brain. The optic nerve's function includes special somatic afferent, which carries the sensory modality of vision. The images below of the optic nerve were captured using the Richter Optica U2 biological microscope at 400x magnification. Optic Nerve under a brightfield microscope. 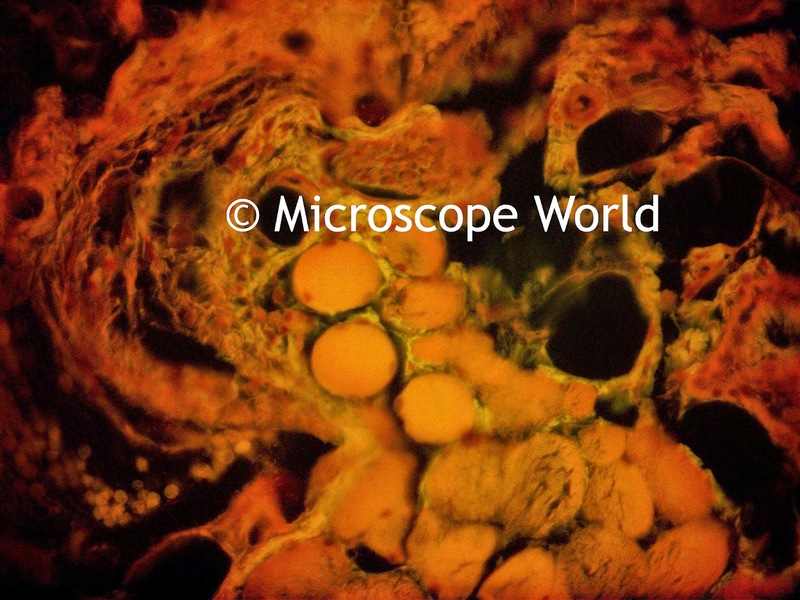 The images were captured using a 5 mega pixel microscope camera. 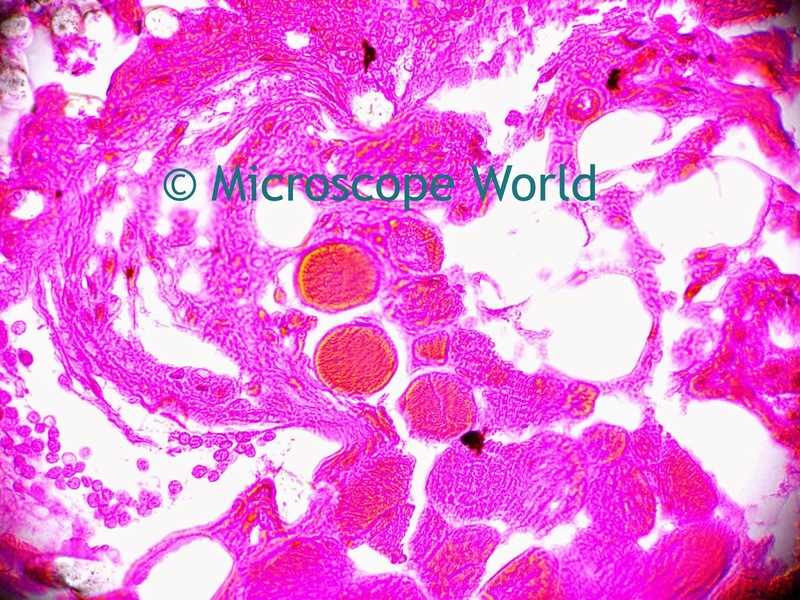 Optic Nerve captured under epi fluorescent microscope. The optic nerve prepared slide can be found in the Histology Musculoskeletal slide kit.